Pre-Owned vehicle pricing includes all offers. Tax, Title and Tags not included in vehicle prices shown and must be paid by the purchaser. While great effort is made to ensure the accuracy of the information on this site, errors do occur so please verify information with a customer service rep. This is easily done by calling us at 205-403-5179 or by visiting us at the dealership. Located at our Hoover Campus**Mercedes Benz Certified Pre-Owned**Blind Spot Assist** COMAND® Navigation & Voice Control** Electronic Trunk Closer** Hands-Free Access Package** Hands-Free Trunk Access** KEYLESS GO®** Luxury Package** Multimedia Package** Panorama Sunroof** Premium 1 Package** Rear-View Camera** SiriusXM Traffic and Weather Services** CARFAX One-Owner** Clean CARFAX. Mercedes-Benz Certified Pre-Owned means you get an additional 12 months Limited Warranty on top of the existing factory warranty, with unlimited mileage. We also do up to a 162-point rigorous inspection/reconditioning, 24/7 roadside assistance, trip-interruption services, and a complete CARFAX vehicle history report. Why Choose Mercedes-Benz of Birmingham? 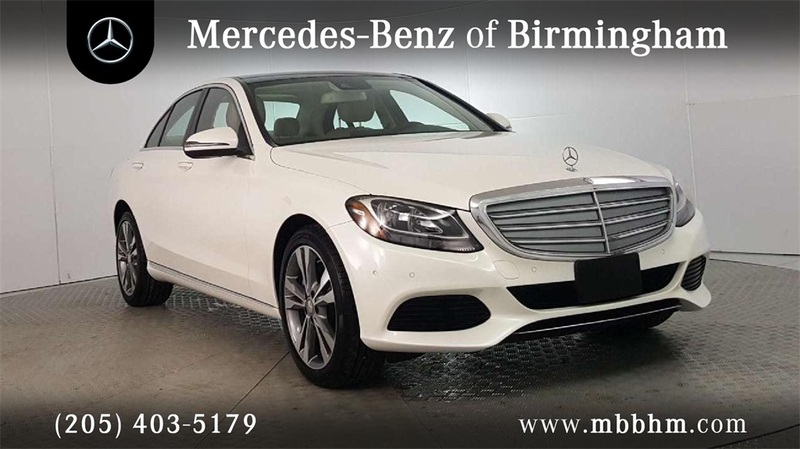 For over 40 years, Mercedes-Benz of Birmingham has been serving you and your Mercedes-Benz Sales, Service and Parts needs in the greater Birmingham area. New ownership is committed to redefining the luxury auto-buying experience and is setting the standard for luxury in Alabama.